Do you want to explore makerspace activities without the huge investment? Book a session (or three!) with our UOIT Maker Mobile Team. 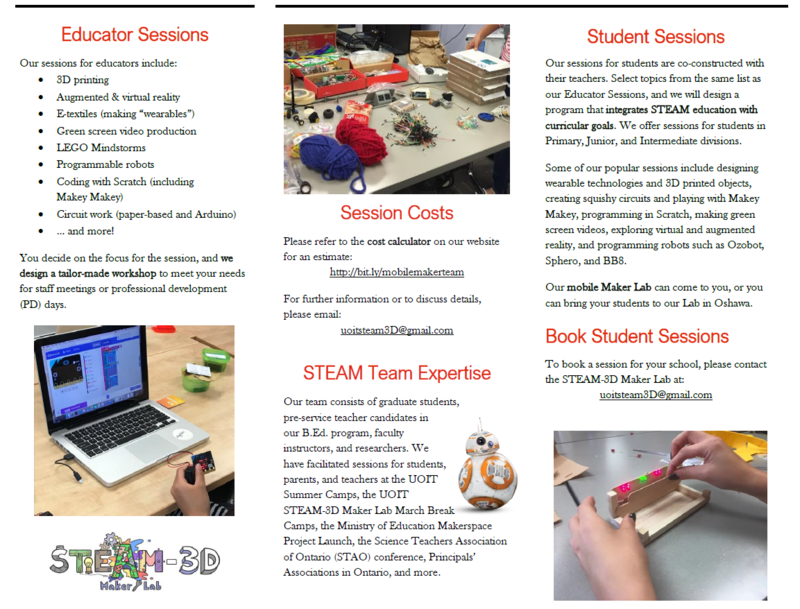 We lead sessions for educators or lead students in maker-packed lessons that tie in with Ontario curriculum expectations. We will come to your school with all of the supplies and equipment needed to run either a half- or full-day session for teacher professional development, or come into your classroom (2 hours minimum) to run a hands-on, inquiry-based lesson. Our programs are tailor-made to your needs. Just identify the grade (or division) and the subject (or strand), and we will draft a plan in collaboration with you. For more information, please review the brochure below by clicking on the images to enlarge them, or by downloading the PDF version here: 2018-2019 Mobile Maker Brochure. To get an estimate of costs for either professional development or student sessions, please see our Trinket tool below! Gas/mileage will be added. 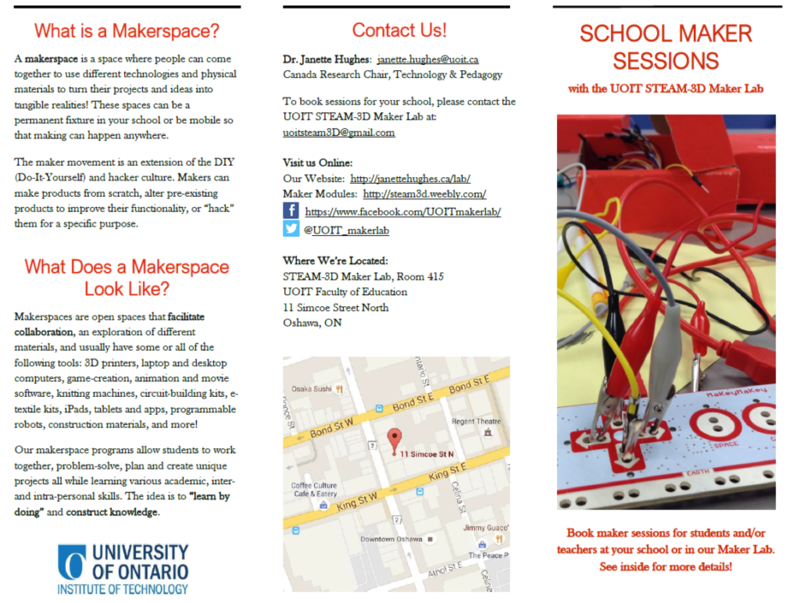 If you’ve got ideas, questions, or want to book a session, email us at UOITSteam3D@gmail.com! If you’re looking to have a session within your class, feel free to use the following program to get an estimate of costs. If you’re looking to have a professional development session, feel free to use the following program to get an estimate of costs.